In 2002, Eureka Woodworks was built on a simple idea: offer cost-effective alternatives that meet stringent timelines to manufactured wood products. We love working with wood. The feel. The grain. The smell. The satisfaction of making something. For more than 15 years, we have applied that love to providing affordable, handcrafted woodworking products and opportunities for businesses and individuals. 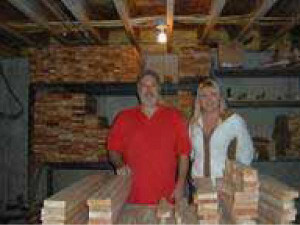 But the one thing that we appreciate more than woodworking is sharing that appreciation with our customers. Since 2002, our woodworking business program has enabled craftsmen around the world to literally convert garages and small workshops into mini furniture factories. Producing and selling Eureka’s carefully designed, highly profitable outdoor furniture line, we have helped turn a cottage industry into big business. My sales have grown over 20% per year, every year since starting in 2007. The product sells itself. If you show it, it will sell. There are several things about the Eureka Producer Program that make it very good. Anytime, I have a question or an issue, Eureka is available 7 days a week to resolve it. Eureka is always striving for new products that allow Producers to expand their line of outdoor furniture. The Eureka Producer Program is a very good investment with no weaknesses.